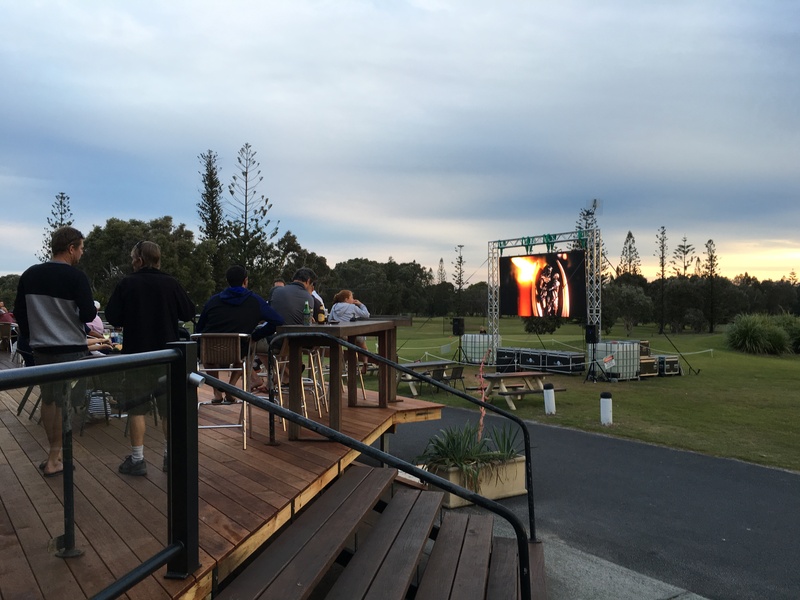 Outdoor screens, bowling greens and income streams – it sounds like the title of a new film. But in reality, it is a savvy business move by several bowling clubs, retired serviceman clubs and golf clubs to generate extra income from spaces that are often left unused. In Northern NSW, several clubs have realized that, to remain competitive, they need to think outside of the box. It is this forward thinking that has led managers to transform unused or barely used greens into high traffic entertainment spaces through the installation of outdoor LED screens. Outdoor LED screens are unique in that they can be installed over a period of days or weeks and are completely weather proof. They are installed using freestanding truss that does not require surfaces to be penetrated or disturbed. These features mean that outdoor LED screens are ideal for a wide variety of indoor and outdoor spaces. Furthermore, they can be used to screen many different forms of entertainment. The transformation of the green into a relaxing and comfortable entertainment hub involved more than the installation of an outdoor LED screen. Storm Boy Productions ensured the space was decked out with beanbags and attractive white picket fence scrim. The space was a neat and comfortable, encouraging patrons to stay and enjoy the entertainment in a relaxed and stylish atmosphere. The use of outdoor LED Screens on bowling greens is an idea that is only going to grow. Maximising the income streams of clubs in this way allows the clubs to prosper, and this continues to fund the maintenance of the club as a whole. To learn more about the way that your club can create new income streams through the installation of outdoor LED screens on it’s greens, be sure to contact Storm Boy Productions experienced staff.